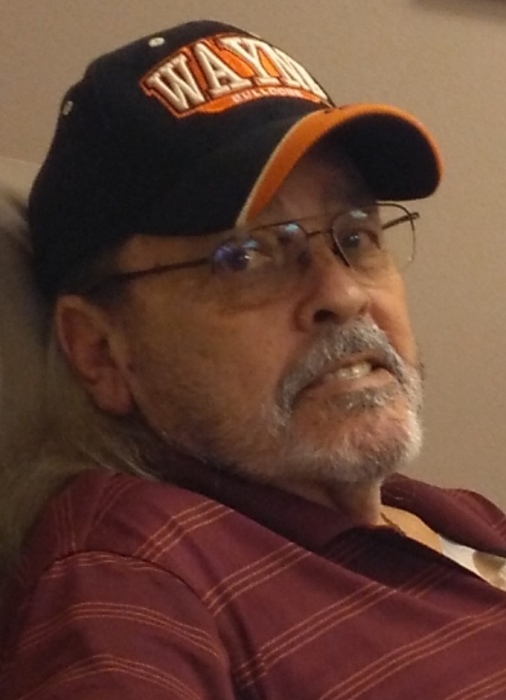 Gale Dean Singleton died July 8, 2018 at his home at the age of 71 years 4 months 18 days. As per his wishes, no memorial services are scheduled, entrusted to the care of Wadley’s Funeral Service. Gale was born February 21, 1947 in Anadarko, Oklahoma to Wilton Lee and Dorothy Devon (Miller) Singleton. He was raised and attended school in Moore, Oklahoma. Gale was a proud Cherokee Indian, working as a carpenter and in the oil field. On November 18, 1966, he married Charlotte Ann Clark in Oklahoma City, Oklahoma. He loved hunting, fishing, and camping with his children, grandchildren, and nephews. Gale was very proud of the achievements of his children and grandchildren. Gale is preceded in death by his parents, Bill and Dorothy Singleton; siblings, Brenda Wilson, and Rebecca Madden; infant great grandson, Justin Michael LeBlanc. Survivors include his wife of 51 years, Charlotte Singleton; daughter, Maggie LeBlanc and husband, David Rushing; son, Michael Singleton and girlfriend, Sarah Bruno; son, Christopher Singleton and wife, Darcy; sister, Ramona Harris; 8 grandchildren, 3 great grandchildren; and many nieces and nephews, that he had a close relationship with and helped raise.